The Hotel Fremont was built along the Wolf River in Fremont, Wisc., in 1895. It is in a spot that attracts fishermen and boaters. The hotel has a cozy restaurant, simple rooms for sportsmen, a friendly bar and a deck that offers a commanding view of the river. Darv and Joyce Koneman own the place and turn out one of the best Bloody Mary's you will find anywhere. For $4 you get a classic cocktail in a Shaker pint and a short beer chaser. That's a real Wisconsin deal. Shake vigorously to mix well, squeeze a lemon over top. Then sprinkle celery salt over the top. Garnish with a marinated mushroom, garlic pickle, Spanish olive and Brussel sprout. Tuesday Tasting is a regular feature of Lyke2Drink that explores some of the best beers, wines and spirits on the market. This week we try four spirits sent to us by Craft Distillers. The folks at Craft Distillers in Ukiah, Calif., were nice enough to send along four small sample bottles of recent releases. These folks handle products put out by Germain-Robin and St. George Spirits, among other producers. The samples covered quite a bit of ground, but were all unique and impressive. Maison Surrenne Ancienne Distillerie: This Cognac is 100 percent petite Champagne and aged for 10 years. Nice whiskey color. Booming nose leading with oak and vanilla. Warming flavor, upfront toffee and vanilla, with a very smooth finish. 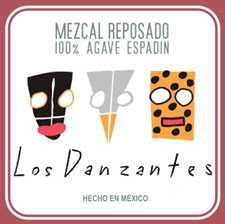 Los Danzantes Mezcal Reposado: Straw color. Starts with a grassy, slightly medicinal nose. Firm flavor of smoke and clear agave character. Faint spice in the finish. Aqua Perfecta Pear Liqueur: Pinot gris color, with a fresh floral aroma. Nice ripe just-picked pear flavor. Extremely light and smooth. Hangar One Fraser River Raspberry Vodka: Pink red hue, with a distinctive fruit nose. Tart raspberry flavor notes with just a slight balancing sweetness. The Princeton Review publishes a ton of rankings each year. Since the Top Party Schools list gets a bunch of media attention and hits on my blog, here is my contribution to the journalistic ethic of fair and balanced reporting. This list of the top 20 Stone Cold Sober Schools for 2009 includes the four military academies, along with some schools that have religious ties. Comparing the list of "Party" and "Sober" schools suggests that the student body desire to imbibe goes up in direct correlation to the number of times the school's football team appears each year in the highlights on ESPN's Sports Center. 1. Brigham Young University, Provo, Utah. 3. U.S. Coast Guard Academy, New London, Conn.
4. College of the Ozarks, Point Lookout, Mo. 6. U.S. Air Force Academy, Colorado Springs, Colo.
7. U.S. Naval Academy, Annapolis, Md. 8. Wellesley College, Wellesley, Mass. 9. Thomas Aquinas College, Santa Paula, Calif.
11. U.S. Military Academy, West Point, N.Y.
12. Wesleyan College, Macon, Ga.
14. City University of New York-Queens College, Flushing, N.Y.
15. Webb Institute, Glen Cove, N.Y.
16. Berea College, Berea, Ky.
17. Agnes Scott College, Decatur, Ga.
18. City University of New York-Baruch College, New York. 20. Bryn Mawr College, Bryn Mawr, Pa. It's an annual ranking that is anticipated almost as much as the first pre-season football poll. College administrators who love to be ranked at the top of almost every other list hate to hear their name called for this one -- even if it just might convince some students about which school they should attend. A bill that has been pending for more than a year in the Massachusetts state legislature would allow city and town officials to license the sale of beer and wine on golf courses in the state. Currently only Massachusetts and Alaska ban the sale of alcohol from beverage carts on golf courses. The bill, already approved once by the House and Senate, must be considered one more time before being sent to Gov. Deval Patrick. Some courses reportedly already flaunt the law. Country clubs near borders with other states say they lose business to courses that offer drink carts to players. The beaches in San Diego, Calif., have been dry since a one year test alcohol ban was imposed. Now some city officials think voters should get a voice in the matter. A proposal has been floated to add a question to the Nov. 4 ballot regarding the ban. Proponents say the beaches should be reopened to alcohol. They claim that if police enforced laws regarding public intoxication and rowdy behavior that the ban would be unnecessary. A group calling itself SafeBeaches.org thinks the ban should stay in place. The move to ban alcohol at beach parks began after several publicized fights on the beaches. Weekend Watering Hole: Fox River Brewing, Oshkosh, Wisc. As a regular weekend feature, Lyke2Drink will visit some of the world's great watering holes. This week we find ourselves in Wisconsin at a riverside brewpub. During a recent visit to Wisconsin, I was hosted for dinner at the Fox River Brewing Co. by Darv Koneman and his sons, Jake and Adam. The spot is part of the Fratellos restaurant chain and sits along the Fox River in Oshkosh. The main reason we went to this spot was that the Konemans knew I'd like to try the local beer, but Fox River was also serving fresh perch. It had been a number of years since I had enjoyed any fresh water perch from cold northern waters, so this was an extra treat. Fox River has both indoor and outdoor bars, plus plenty of restaurant seating. The location is perfect for enjoying the end of a day while watching fishermen and pleasure boaters on the river. The service was not crisp, but the location and the beer made up for it. We all started with a sampler that included six of Fox River's draughts: Winnebago Wheat (Bavarian style), Fox Light (a German Kolsch), Buzzin' Honey Ale, Caber Tossing Scottish Ale, Fox River Blu (blueberry flavored) and Slam Dunkel. I thought the Fox Light was a clean beer perfect for a hot summer evening. The Caber Tossing Scottish Ale had some nice flavor. But my favorite was the Fox River Slam Dunkel, which had tons of malt and a nice smoky base. I ordered a pint to go with dinner. This brew had plenty of character, kind of like this part of Wisconsin. More Cowbell: Play it Louder, They'll Drink Faster! French researchers have given bar owners across the globe another reason to crank up the tunes: loud music causes people to drink beer faster. A study published in the journal Alcoholism: Clinical & Experimental Research found the average person drinks a glass of beer a full three minutes quicker when the music is loud. A team of researchers from the University of Southern Brittany spent three Saturday nights in two different bars, observing males between 18 and 25 years old. The louder the music the more beer they consumed in a quicker time frame. The bar owners allowed the researchers to control the level of the music and the patrons did not know they were being observed. When music was played loudly, beers were consumed in just under 11 and a half minutes, more than three minutes quicker than when music was playing softly. The number of drinks ordered also increased from 2.6 to 3.4 when the music was louder. Bar bands are sure to use this information to book more gigs, but the truth is the difference just might be that when patrons cannot hear what the person next to them is saying they are likely going to fill the gap in the conversation with another sip of beer. We were in Chicago this past weekend to visit our daughter, Brhea, who is attending Loyola University. One of the joys of making a trip to the Windy City is the chance to go to one of the great restaurants in town. This time around we headed to the Frontera Grill, a creation of Mexican food expert Rick Bayless. It had been about 15 years since my last visit to the spot. That was during the National Restaurant Show and I recall having more than a couple margaritas with a client while we enjoyed our meal. 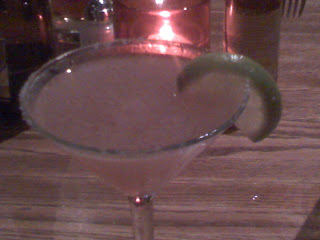 This time around my approach was a little more subdued, enjoying a classic margarita while we waited for our table and a Kalamazoo Royal Amber Ale while sampling a couple of appetizers. After looking at the drink menu one more time, I decided to try the Mezcal Margarita. It was a great change of pace. The mezcal used in the drink was a rich smoky spirit that took control of the cocktail. Mezcal is often thought of as Tequila that just is not made in Jalisco, Mexico, but the reality is that the distilleries in small villages can turn out some pretty intense spirits. The Chichicapa Mezcal in this cocktail leans in the direction of something that at first will remind you more of Scotch than Tequila, but the smoke is different than the peat you will encounter in a whisky. If you are looking for a refreshing drink for the deck, this is not quite it. However, it is just perfect to accompany a regional Mexican dish. Place all ingredients in a shaker with ice. Shake vigorously and strain into a cocktail glass rimmed with salt. Garnish with lime wedge. Public safety officials in Oneonta, N.Y., have proposed a one or two cent tax on all alcoholic drinks sold in the city. The money would be used to pay for emergency services. The city is the home of SUNY Oneonta and Hartwick College, which because they are educational institutions, do not pay property taxes. Officials say that more than 50 percent of the property in the city limits is tax exempt. The Mayor and City Council have no plans to act on the tax. Tuesday Tasting is a regular feature of Lyke2Drink that explores some of the best beers, wines and spirits on the market. This week we take a detour to the edge of brewing universe with a Delaware craft brewer. The one ultimate truth I can say about Dogfish Head Brewing is that they don't make boring beer. Even the Dogfish Head 60 Minute IPA is a stand out in a category that just about every small brewer in America tries to compete. Sam Calagione and his crew have created one of the most respected breweries in America and I always try to taste any new products I see coming from the Delaware based company. The Charlotte Beer Club has a regular monthly meeting at the Flying Saucer. For July, the folks at the Saucer pulled out all of the stops by producing three kegs of hard to find Dogfish Head brews. It was a treat for the taste buds. 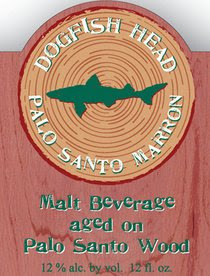 Palo Santo Marron: This brown ale is brewed in Paraguayan holy tree wood vessels. There are a ton of flavors from almost every angle with this beer. It is clearly to be respected, coming in at 12 percent alcohol by volume. It is not meant to be a session beer, but it is a treat if you can find some. Chicory Stout: Wow. Dark and rich. Hints of French Quarter coffee and a touch of licorice. Inviting roasted aroma. This is a must try for any stout fan. Even though this is intended to be a winter seasonal, it was just 5.2 percent alcohol by volume and perfect for Charlotte in the middle of summer. Immort Ale: OK, this brew was going in several different directions in my mouth at the same time. It is aged in oak, uses peat smoked barley and is brewed with juniper berries, vanilla and maple syrup. It comes in at 11 percent alcohol by volume. Is it a salute to Scotch? A tip of the hat to gin? Or do you pour it over pancakes? I tip my hat to the brewmaster for his sense of creativity. On Saturday I attended the Charlotte Beer, Bourbon and Barbecue Festival, part of the traveling festival show put on by Moorea Marketing. They also put on several other shows across the southeast. I was joined by more than two dozen members of the Charlotte Beer Club. It was in the 90s and part of the event was held in a parking lot, so it might not have been ideal for Bourbon sipping, but it was still nice to get samples of Eagle Rare, Blanton's, George Dickel Barrel Select, Jack Daniel's Single Barrel and Elijah Craig 18 Year Old. The beer selection included everything from Chimay to Mickey's Malt. Favorites on hand included Saranac Pale Ale, Dogfish Head 90 Minute IPA, Heavy Sea's Loose Cannon and Pilsner Urquell. There were also several good barbecue vendors on site, so the fest lived up to its three promises. One of the hits of the event was the Woodford Reserve tent, which gave out samples of Woodford steeped in peaches and ginger. It was a real treat on the hot day. My overall suggestion would be to move this event to mid-May or late September and get it out of the middle of the North Carolina summer. The heat was oppressive and the organizers were lucky to have avoided the afternoon thundershowers that have rolled through these parts on a regular basis this year. New York Gov. David Paterson has signed a series of bills that will allow New York wineries, breweries and distilleries a little more freedom to compete for business. One bill allows wineries in the state to start offering tasting sessions on Sundays at 10 a.m. Under the old law, consumers could not sample products while touring vineyards or at farmer's markets until noon on Sundays. Another measure allows the New York State Wine and Culinary Center in Canandaigua to sell New York beers and spirits along side the wine they currently offer. Another bill permits wine to be sold anywhere at the New York State Fair instead of the previous designated area. New laws also mean wine flavored ice cream can now be up to 5 percent alcohol in New York and microbrewers that sell beer to distributors can now also own a restaurant that sells alcohol. Tuesday Tasting is a regular feature of Lyke2Drink that explores some of the best beers, wines and spirits on the market. This week we try some beer from one of the oldest craft breweries in the Midwest. Brixx Wood Fired Pizza has started a series of beer dinners at its locations around Charlotte, N.C. The restaurant brings in some pretty decent breweries pouring some great beers that are matched with dishes prepared by the staff. For $30 it is an economical way to enjoy a meal with some great beer and education along the way. Before heading out on vacation a couple of weeks ago I attended one of the Brixx dinners featuring Bell's Brewery from Michigan. Regional Sales representative Derek Zomonski was on hand to run the tasting and take diners through four courses of beer and food pairings. Bell's has been around since 1985, making some truly classic beers. It is amazing to think that from its humble start in Kalamazoo that Bell's has grown to be a major craft brewery pumping out 90,000 barrels annually. It just goes to show what consistent quality and some product creativity can do for a brewery. Bell's Oberon: This is one of my favorite Bell's beers. It is interesting because it is light and accessable, yet full of character. Brixx matched this American wheat with a shrimp skewer with a red pepper spiced orange marmalade, which played nicely with the brew. Slightly cloudy, this beer is crisp and clean. It is surprisingly 5.8 percent alcohol by volume. Bell's Amber Ale: Brixx matched this with a pizza that was topped with asparagus, wild mushrooms, fontina cheese, sun dried tomato pesto and spinach. That's quite a combination for any beer to keep up with, but the ample amount of malt in this brew did the trick. Bell's Two Hearted Ale: This IPA has a nice floral nose and crisp hoppy flavor. Brixx matched it with a chicken breast stuffed with prosciutto, basil and mozzarella in a roasted garlic cream sauce. At 7 percent alcohol by volume this beer has an edge to it that hides behind huge amounts of flavor. Bell's Double Cream Stout: Bell's regularly makes 10 different stouts, plus has a couple of classics that are brought back on rare occasions. Bell's Kalamazoo Stout and Bell's Expedition Stout are on most beer fanatics lists of must try beers. Paired with a chocolate layered cake, the Double Cream Stout is an English style stout with a nice combination of sweet and coffee-like flavor notes. These guys know how to make dark beers. "The subject for July's Session could be summed up thusly: Drinking anti-seasonally. Think of this as the unorthodox cousin of such topics as "beer and food" and "beer and music". Beer and weather, perhaps? More like beer despite the weather, I guess. Cracking open a Guinness on the beach, finishing a day of yardwork with a Speedway Stout, or whatever else you do that raises an eyebrow (again, beer-related, please), do us all a favor an take a few moments to share your non-conformist tale (again, you kangaroos and lemurs down there, your take on this could be even more peculiar, so do chime in, please)." I've never feared drinking out of season. I'm more likely to enjoy a barleywine during the depth of winter, but that has more to do with availability than it does seasonality. A crisp pilsner or hoppy IPA is refreshing and fits well the the core of summer. But a tasty stout has its place in quenching a July thirst, too. Two beers that I have enjoyed while vacationing this week are evidence that drinking out of season has its rewards. It's about freshness and flavor, which is in season no matter what beer style you are enjoying. Sackets Harbor Scotch Ale: A nice dark amber brown draught with a creamy texture, this New York beer is really more of a rauchbier than a true Scotch ale. The brewery uses a small amount of barley from Scotland that has been smoked over peat as if it was being prepared for making whisky. If they made beer on Islay, it would taste like this one. A real treat that works as well during the summer as it does during colder weather months. Thomas Creek Deep Water Dopplebock: This South Carolina bottled beer weighs in at 6.25 percent alcohol by volume. Doppelbocks traditionally were brewed in Germany for the Lenten season to help monks and peasants more happily survive fasts. A rich dark brown, the beer throws off a nice firm head. The flavor has plenty of roasted malt characteristics. Very enjoyable, this beer leans slightly to the sweet side, with hints of coffee to balance out the flavor profile. In a $7.1 million deal Duvel Moortgat Brewery of Belgium is buying the assets of Liefmans Brewery of Oudenaarde, Belgium. 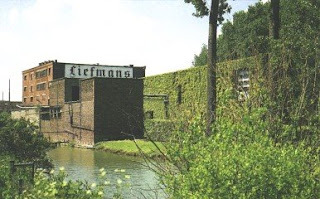 Liefmans, founded in 1770, had declared bankruptcy and stopped production in late 2007. As part of the deal Duvel now owns all of the machinery, brands and recipes for making Liefmans brown ales and fruit beers. The beers will go back into distribution shortly. Duvel is negotiating for the Oudenaarde site and plans to revitalize the visitors center at the brewery. 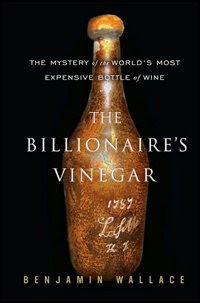 If you enjoy a good mystery, Benjamin Wallace's "The Billionaire's Vinegar" is a great story of intrigue that combines history, fanatical wine collectors, abundant wealth and one man who decided to parlay this combination into a scheme to amass riches by counterfeiting rare bottles of French vintages. The story involves a claim that a Paris cellar was discovered with long lost bottles that once belonged to Thomas Jefferson. The third president of the United States and framer of the Declaration of Independence is recognized as America's first wine connoisseur and spent a number of years in France, so the story had the right elements to be major news when the find was announced. Surely a bottle of wine linked to Jefferson would be worth its weight in gold. Imagine the value of a discovery of more than two dozen bottles of drinkable Jefferson wine from some of the great French chateaus? Wallace tells the story of Hardy Rodenstock, a German famous for throwing lavish wine events featuring rare vintages. His claim that he had purchase the contents of a Paris cellar containing bottles engraved Th. J. soon brought interest from Michael Broadbent, founding director of the Christie's wine department in London. In an amazing auction that pitted Kip Forbes (bidding on behalf of his father, Malcolm Forbes) and Marvin Shanken (publisher of the Wine Spectator) a 1787 bottle of Chateau Lafite Bordeaux sold for a record $156,000. Forbes would not be the only wealthy wine lover to lust after one of the bottles. Like any great mystery, The Billionaire's Vinegar offers a few twists and a set of interesting characters. The setting shifts across various European locations, to the United States and Asia. There are conflicting opinions, scientific testing worthy of an episode of CSI Miami, and gumshoe detectives looking for clues. 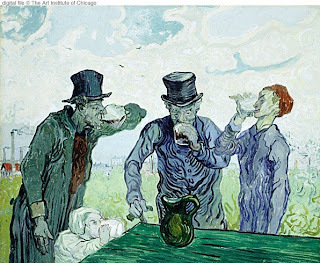 Reading about the subculture of super rich wine collectors and outlandish tasting events is almost as hangover producing as some of the multi-day affairs when rare vintage wines were served in excess. The book (Crown: $24.95) is a perfect summer read even if you are not into wine. LVMH Moet Hennessy Louis Vuitton says it will make an $89.5 million investment in its Scotch whisky distilleries to meet the growing worldwide demand for single malt premium brands. The luxury goods company says it will spend the money to boost its Glenmorangie and Ardbeg brands. Meanwhile, LVMH will sell off its Glen Moray operation which makes whisky for blends. The investment will go towards increasing production capacity and boosting warehouse space at its Glenmorangie Distillery in Tain; additional warehouse facilities at Ardbeg on Islay; and for upgrades to visitor centers at both locations. Glenmorangie will also relocate its headquarters to Edinburgh. If the summer heat is getting to you and you are really thirsty, New York's Heartland Brewery has the answer. The brewpub chain's new Beer Goddess pilsner is a 3 liter glass made for Heartland by Rastal of Germany. Heartland says it is the largest glass of beer commercially available. I'm not going to argue the point since the glass will hold more than eight 12-ounce bottles of beer. If you want to sip from a Beer Goddess you need to head to one of the five Heartland locations, order a Cornhusker Lager, Harvest Wheat Ale, Empire Pilsner, Red Rooster Ale, Apricot Ale or French Toast Ale and fork over $49. And, you don't get to keep the glass. Tuesday Tasting is a regular feature of Lyke2Drink that explores some of the best beers, wines and spirits on the market. This week we taste some wine along the northern border of New York state. No one will ever confuse Jefferson County, N.Y., with Bordeaux, France. The temperatures often dip well below zero during the winter months. The growing season is short. Dairy farms greatly out number vineyards. 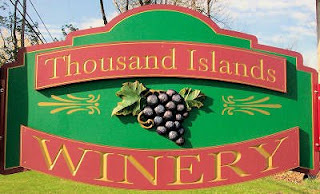 Then there is the Thousand Islands Winery. The winery sits at the base of the Thousand Islands Bridge, which takes you over the St. Lawrence River from the mainland to Wellesley Island and then to Canada. There are a couple of rows of vines outside the winery, but the grapes used are imported from elsewhere around New York. Saint Lawrence Red: Deep purple color, slightly tangy nose. This blend of French American hybrid grapes is on the sweet end of the scale. Thousand Islands Frontenac: Light purple garnet color. Fruit aroma with berry notes throughout the semi-dry flavor. Wellesley Island White: A blend of Diamond, Catawba and Cayuga grapes this wine has a grape skin nose, with pineapple, pear and honey flavors. Thousand Islands Riesling: Sweet floral nose, with plenty of honey and pear flavors. The 6 percent residual sugar dominates this wine. Thousand Islands Niagara: Jammy character, packed with sweet notes. A traditional American style white that works well in the hot weather months. Thousand Island Raspberry Isle: Loaded with raspberry aromas and flavors, this is a nice dessert wine.